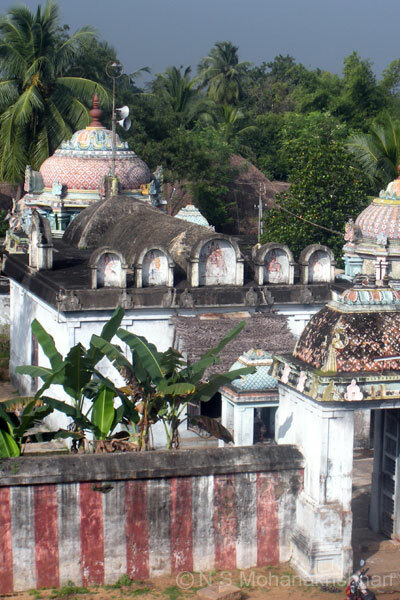 Tirugnanasambandar, his wife along with the guests attending his marriage are believed to have merged with the lord’s light here. 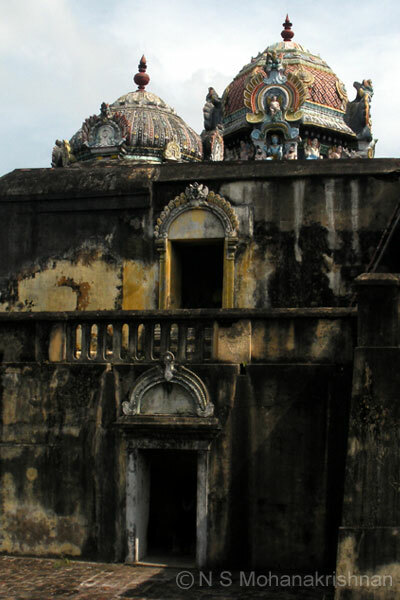 Stone inscriptions dating back to Chola, Pandya, and Thirupuvana Chakravarthy Veera Pandya Devar period are seen here. 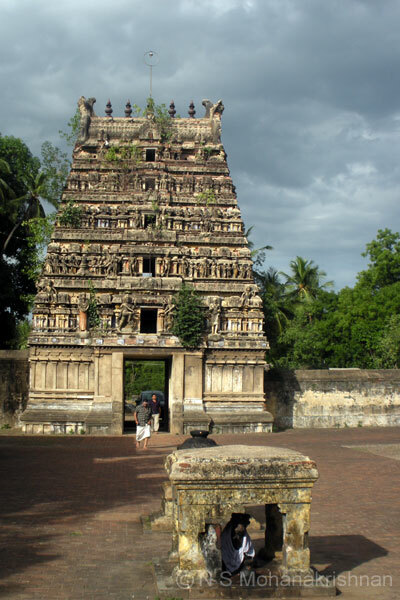 Kochengatcholan, who is said to have built about 78 Maadakovils, has contributed largely to the development of this temple also. 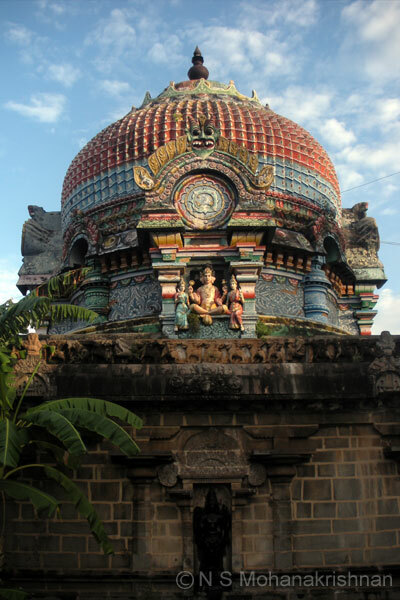 The twin Vinayakas here are important and so is the Lingam worshiped by Bheema (also referred to as Shodasalingam) with 16 stripes in it denoting the 16 types of wealth. 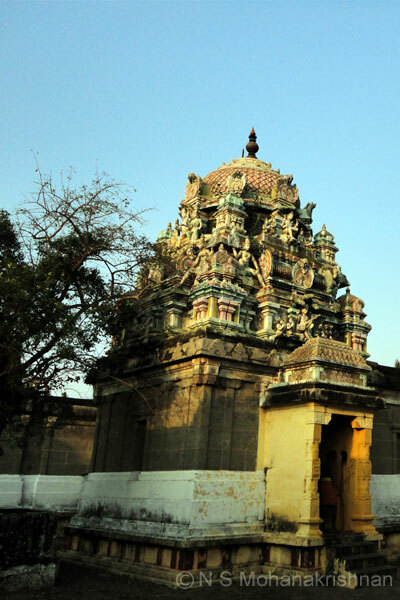 Lord Vishnu in his Vaamana Avatar is believed to have worshiped here. 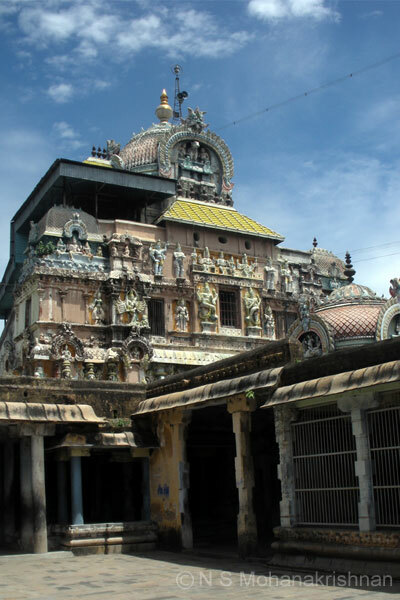 This huge, historical and famous temple is one of the six in Tamilnadu considered to be equal to Kashi. 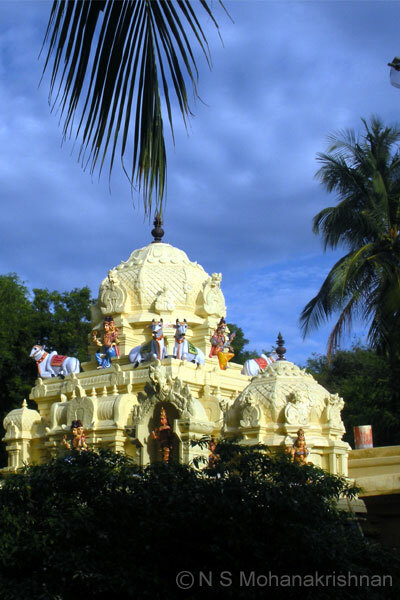 This temple is also called Indrapuri and Lakshmipuri. 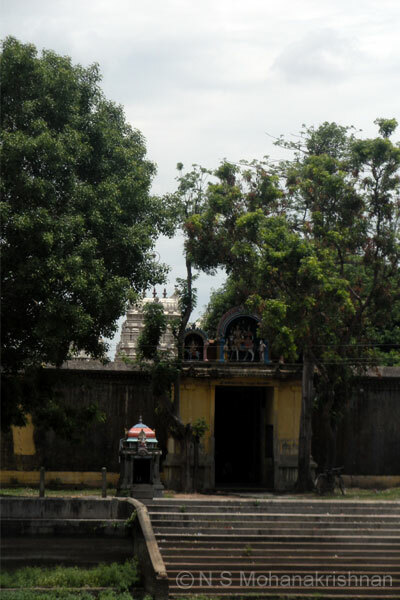 Veerabadra is said to have originated here. 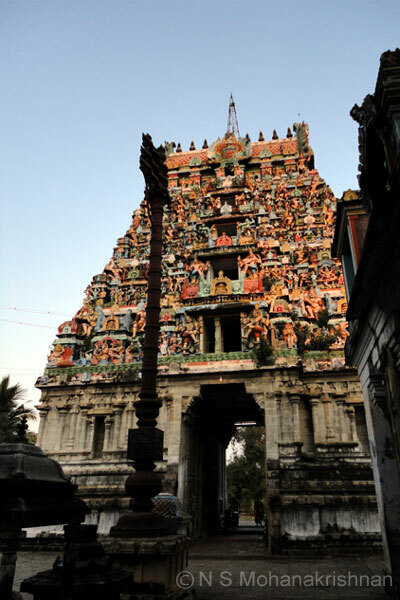 The legend of the Ark and the legend of Thirugnanasambandar are so overwhelming as you enter. 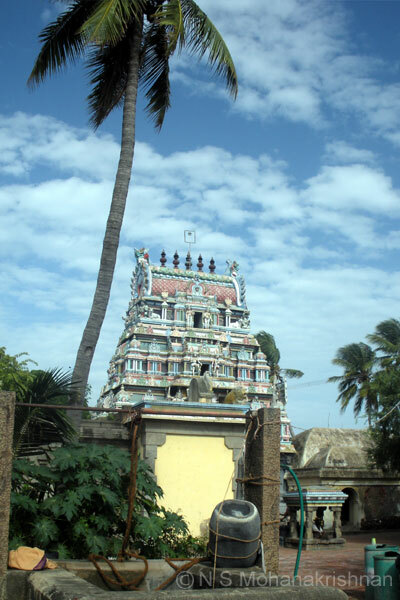 Perumal is believed to have worshiped here and received a Conch called Pancha Sanniyam. 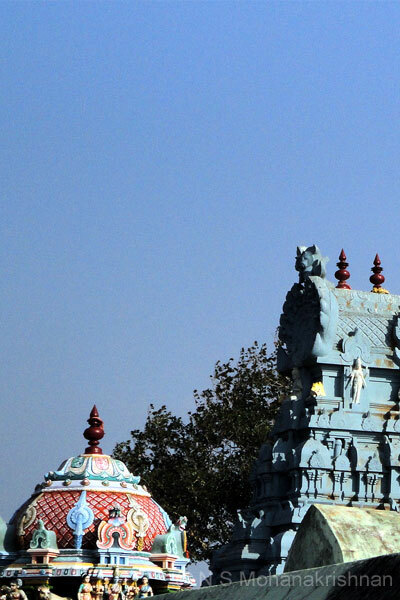 Hence the Lingam here is in the form of a Conch. 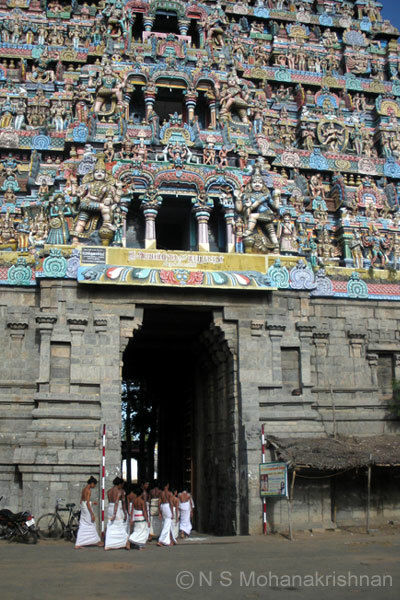 Thirukaruppariyalur, Thalaignairu is in the form similar to Sirkazhi temple with three tiers for the Sanctum Sanctorum. 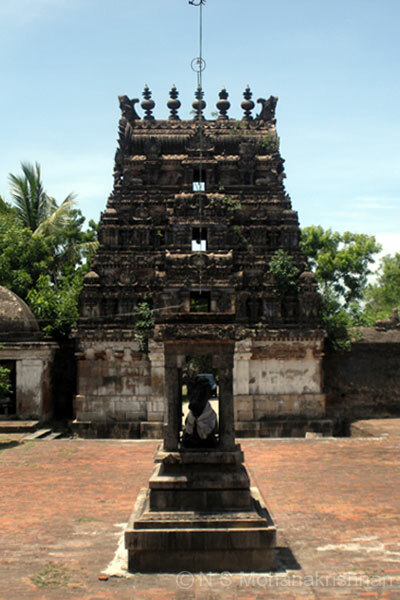 A king called Killivalavan while out horse riding clears a jasmine climber with his sword hitting a Lingam from which blood poured out. 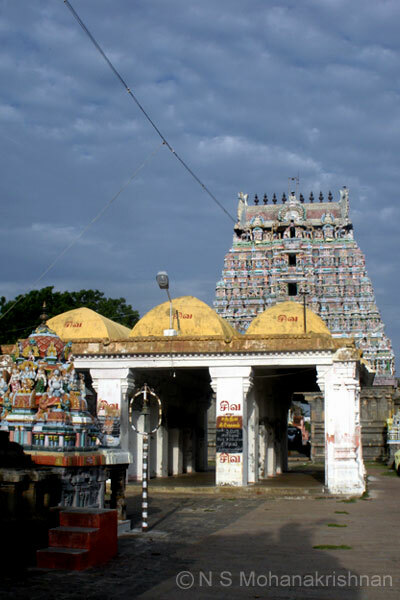 Thirugnanasambandar and Thirunavukkarasar have rendered Thevaram Hymns here. 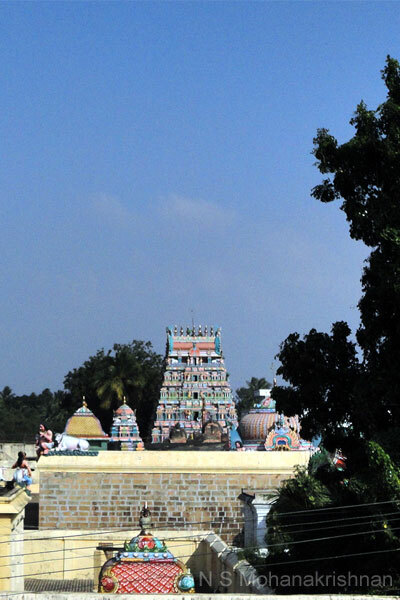 Brahma and Sage Kanva are believed to have prayed here to the Lord. 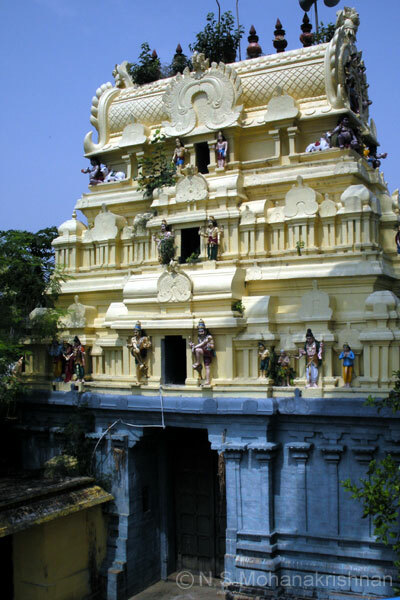 This is the 107th of the shrines worshiped by Sage Markandeya. Abhirami Andhadhi was sung by Abhirami Battar here. 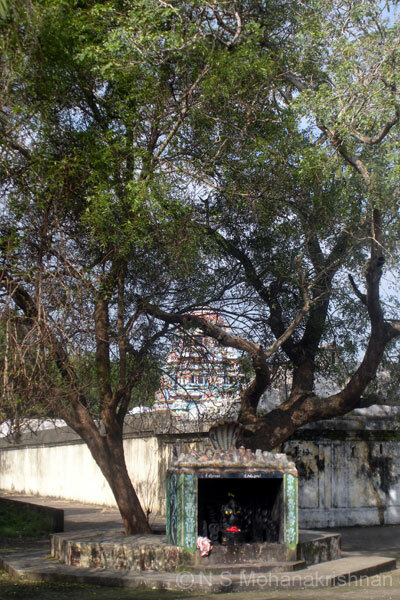 Happy at Lord Shiva for ridding him of a curse, Hanuman installed the Lingam here. 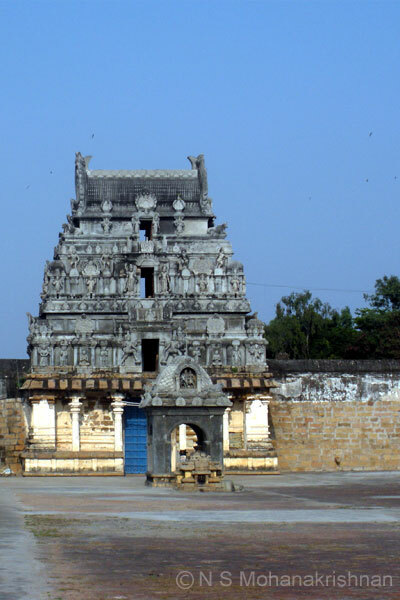 This place is also called Yogeesapuram, Kamadaganapuram and Kambakarapuram. 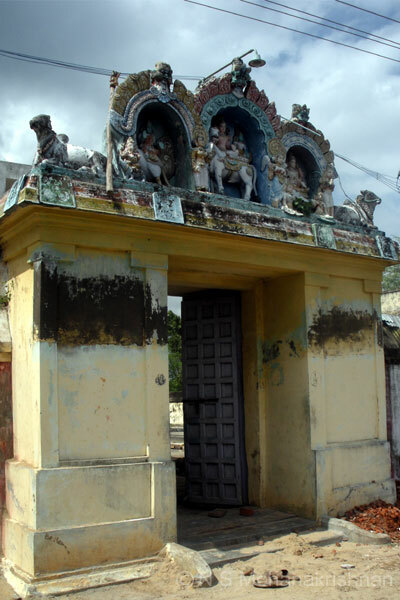 This is one of the Sabtha Vidanga Kshetras where the 7 idols of Thiagaraja in different dancing poses are found. 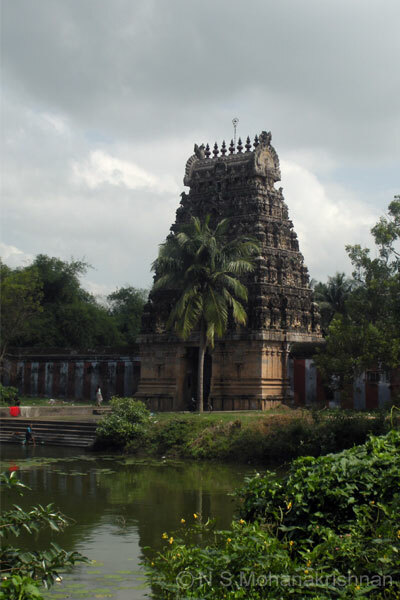 In the Chola period this temple was called “Jayan konda valanaattu aakkoor naattupirathameyamaagiya nanipalli. 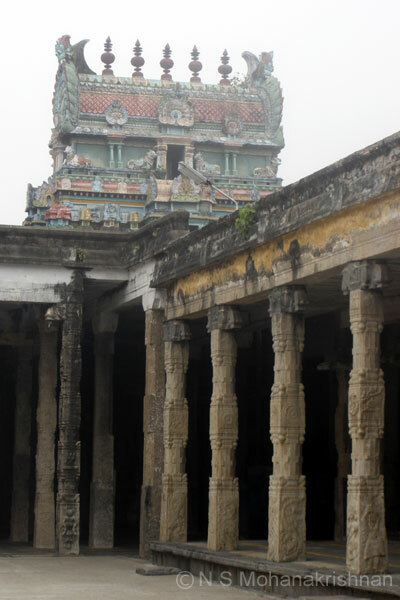 Kotchengatchola and his groups’ torches used to go off at this place and they proceeded after relighting them at a distance. 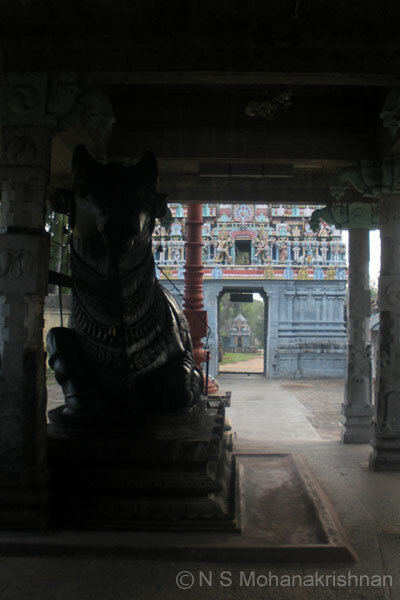 The Nandi was told to move aside by the Lord to enable Nandanar to see him from outside. 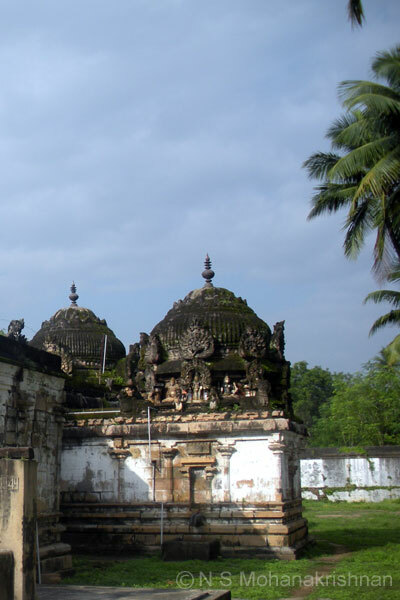 A large and beautiful old temple that is connected with Arjuna of the Mahabharata Epic. 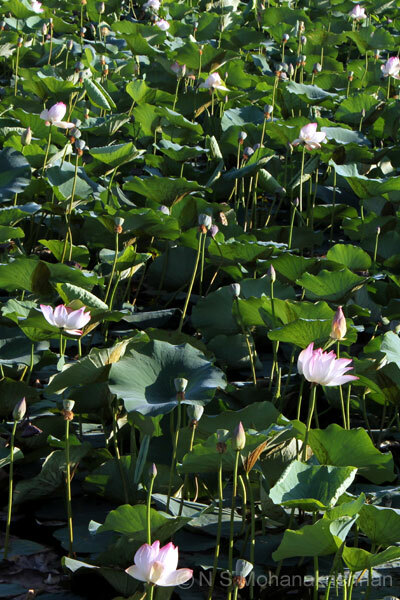 The beautiful Lotus covered temple tank and the sea breeze here can relax your mind. 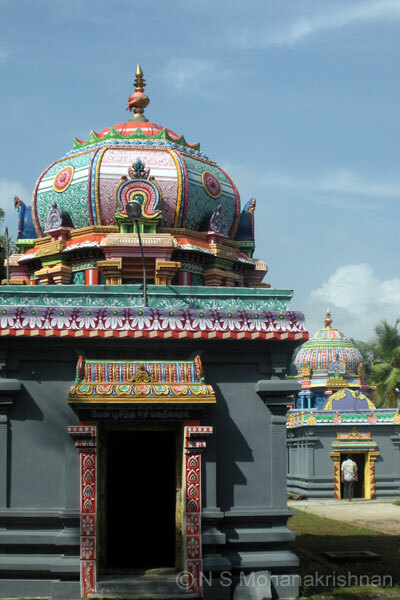 The place is also known as Pullirukkuvelur – Pul means Bird (Jatayu), Irukku (the Rig Veda), Vel (Lord Muruga) and Oor (the Place). 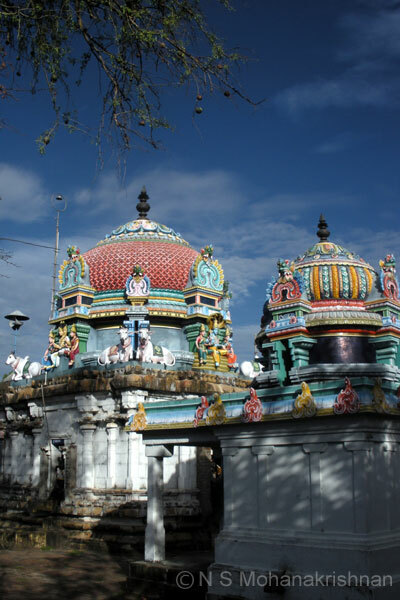 The temple is said to be a sight worth seeing during Karthigai (Lord Muruga’s birthday) with lamps lit all around. 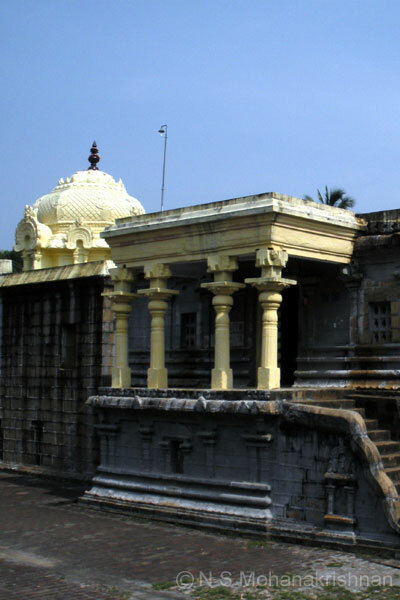 King Kochenkatchozhan was told by Lord Shiva to build a temple where there were three Sthala Vrikshams to cure himself of an ailment. 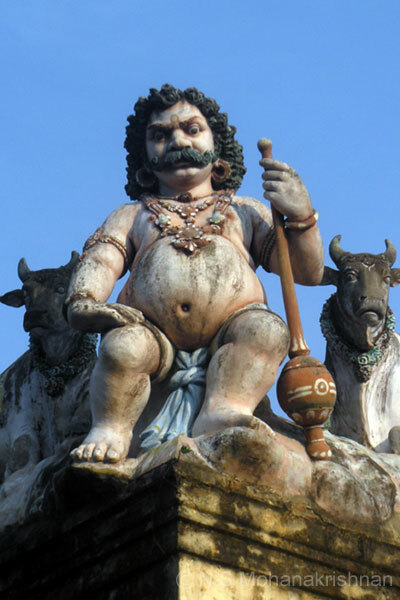 The Agni idol here is with 2 faces, 7 hands, 3 feet, 4 horns, 7 flames and is considered special. 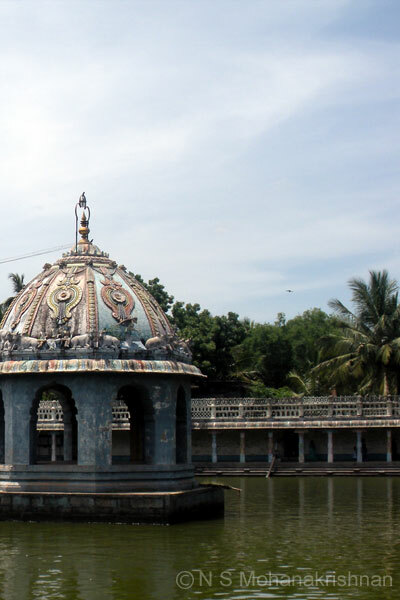 The lord is said to have tested the devotion of Arulvithan by flooding the river.